Only the cute Neurax worm. Pure love. I loved the Bio-Weapon, start selling them now! 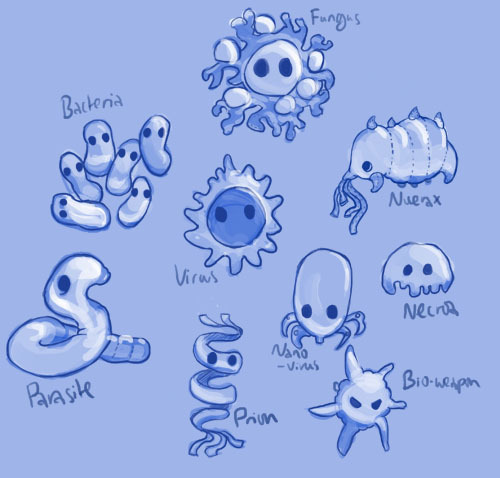 Necroa and Bacteria would be my favorites! Hehehe! I already got a cuddly flesh eating bacteria, but I'd love to buy a necroa virus too! New features for the game I would like more . Maybe you can contact them and get something special going. wonder if theres a copyright problem??? Can you do symptoms aswell? Vommiting would be pretty cute. Aswell as antibiotics and transmission bubbles.